These fruity & nutty chocolate trees are delicious and full of goodness. I used a silicone ice cube, tree shaped mold but you can use whichever style/shape you wish! In a glass bowl, break up the chocolate and place the bowl over the simmering water. 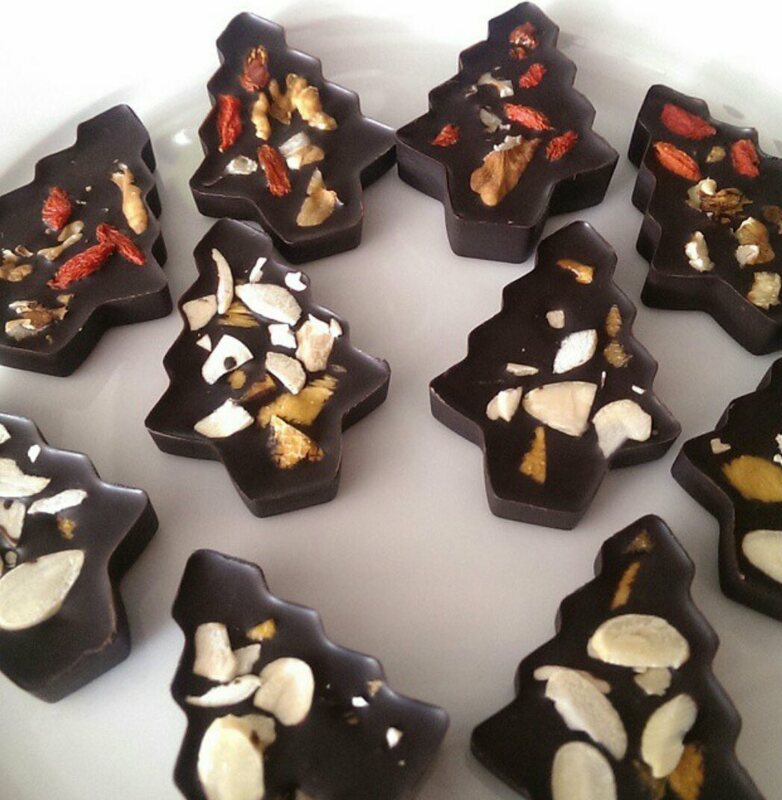 Once chocolate has melted, stir in the coconut oil, nuts and fruit. Spoon into your chosen molds and set in the fridge for 3hrs. What is your favourite fruit and nut combo? Previous Bacon Wrapped Brussel Beauts!